On 10 May 1940, the Third Reich had launched a vast offensive against the Netherlands, Belgium and France. After their breakthrough at Sedan on 13 May, the Germans had driven the French troops to a hasty retreat. De Gaulle had just activated his new division on 12 May as the Germans were fighting to break through. That day, with three tank battalions assembled, less than a third of his paper strength, he was summoned to headquarters and told to attack to gain time for General Robert Touchon’s Sixth Army to redeploy from the Maginot Line to the Aisne; it was his chance to implement his ideas of tank warfare. The next day, Colonel De Gaulle was appointed commander of the 4e Division cuirassée (4e DCr), comprising 5,000 men and 85 tanks, with which he led a counter-attack on the village of Montcornet on 17 May. 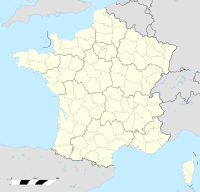 Montcornet had strategic importance because it cut the roads to Reims, Laon and Saint-Quentin, and was a point of transit for the logistics of the 1st Panzer Division. 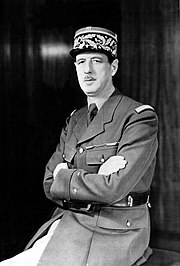 As De Gaulle advanced, he commandeered some retreating cavalry and artillery units and also received an extra half-brigade, one of whose battalions included some heavy B1 bis tanks. On 17 May, at 4:14am, elements of the 4e DCr advanced on Montcornet. After surrounding the village, around noon, B1 bis tanks came under fire from 3.7 cm Pak 36 anti-tank guns and from German Panzers. Though outnumbered and without air support, he attacked and destroyed a German convoy south of the village. De Gaulle lost 23 of his 90 vehicles to mines, anti-tank weapons and to air attacks by Stukas. On 18 May he was reinforced by two fresh regiments of armoured cavalry, bringing his strength up to 150 vehicles. De Gaulle ordered infantry to neutralise German defence pockets in Chivres, and D2 tanks to secure Clermont-les-Fermes. Around 16:00, De Gaulle ordered a new attack on Montcornet, but because the tank crews had not received detailed maps of the sector, and came under fire from 88mm Flak guns, the offensive was unfruitful. Around 18:00, German planes intervened, and the 4e DCr retreated to its original positions. He attacked again on 19 May and his forces were once again devastated by German Stukas and artillery. He ignored orders to withdraw, and in the early afternoon demanded two more divisions from Touchon, but was refused by higher command. Although de Gaulle's tanks forced the German infantry to retreat to Caumont, the action brought only temporary relief and did little to slow the spearhead of the German advance. Nevertheless, it was one of the few successes the French enjoyed while suffering defeats elsewhere across the country. A number of the B1 bis tanks had to be abandoned when they ran out of petrol, and others when they sank into swamps. The French lost 23 tanks in the attack, while the Germans had around 100 killed. De Gaulle would fight another engagement at the Battle of Abbeville.